Your dog has always been quite remarkable in the behavior department for most of his life, but now that he is getting older he is suddenly misbehaving, why is that? Misbehaving in senior dogs isn’t at all unusual, even though it may be quite surprising for dog owners finding good ol’ Rover raiding the trash can or chewing on clothing when he hasn’t shown an interest in such behaviors as far back as early puppy hood. What is going on? The saying, “old age is like a second childhood” seems to sometimes apply to old dogs as well. While your dog may have exhibited good restraint for a great part of his life, getting older may lead to a decrease in his ability to inhibit certain behaviors. This pattern is described as “decreased inhibitions” and it may or may not be not be associated with other signs of cognitive dysfunction, explains Christopher Pachel, a Board Certified Veterinary Behaviorist working for Animal Behavior Clinic, LLC, in Portland Oregon. 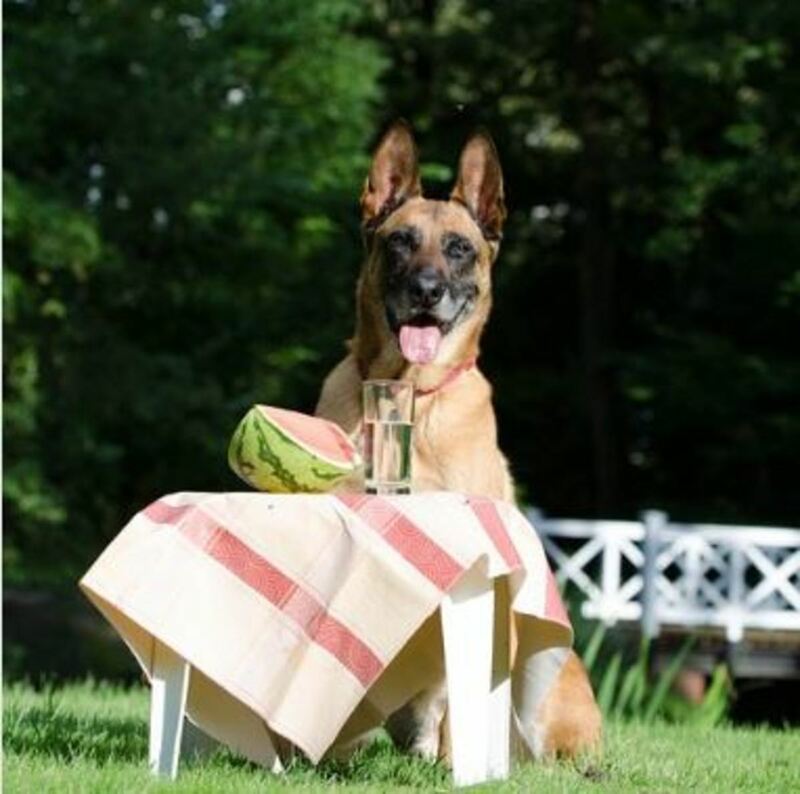 Affected dogs may start slacking off in their adherence to household manners and previously trained sequences. The old dog may be found counter-surfing, raiding the trash can, whining in anticipation of his meals or soliciting attention from his owners in ways he didn’t do before. 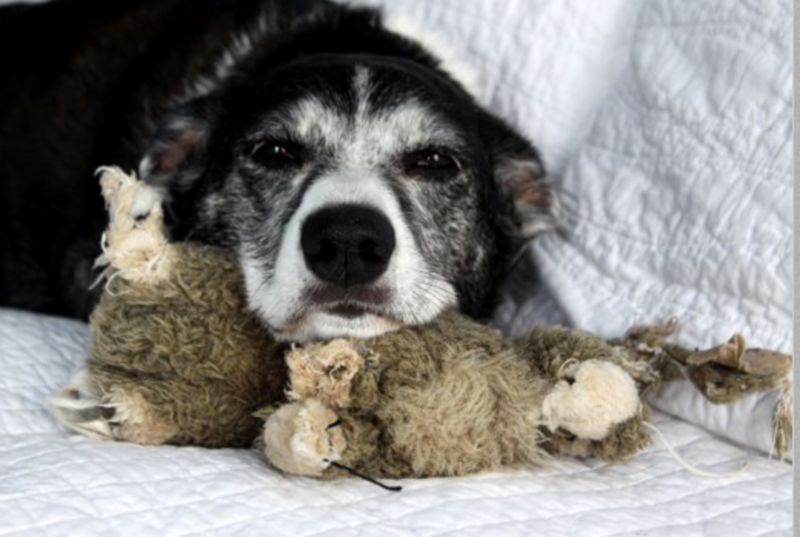 Any time there’s a change in behavior, it’s important to rule out any underlying medical problems, especially when it comes to senior dogs. For instance, an increase in foraging behaviors such as counter-surfing, raiding the trash can or stealing a sandwich off a dish may be linked to health problems that cause an increase in appetite. For example, hormone-related conditions such as Cushing’s disease or diabetes may cause an increase in appetite and so can conditions associated with malabsorption or maldigestion of food, according to VCA Animal Hospitals. If your old dog instead starts posing a “deaf ear” to your recalls, he might not be purposely disobeying you, but his hearing may be declining. Dogs may also become more clingy as they age; indeed, the onset of separation anxiety in older dogs is not all that uncommon. Vision and hearing loss in older dogs may cause them to feel more anxious, especially when they are separated from their owners. 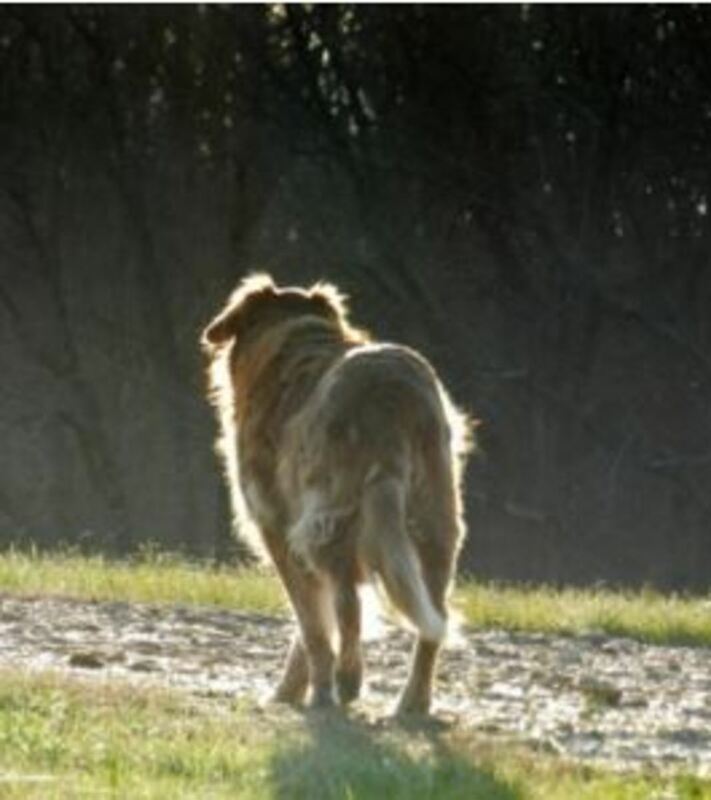 Neurological changes may also lower a dog’s ability to cope with changes in their routine. If your old dog is showing signs of canine cognitive dysfunction, such as confusion, pacing, staring into space, decreased attentiveness, loss of house training and changes in his sleeping patterns, these could be sign of canine cognitive dysfunction, a condition that according to Pfizer Pharmaceutical affects 62 percent of dogs aged 10 years and older. Caught early, the progression of this condition can be slowed down and alleviated with behavior modification, environmental enrichment, institution of a predictable routine. Ask your vet whether a medication known as Anipryl can be helpful. As seen, there may be many things going on. If you notice behavior changes in your older dog it’s therefore smart to stop by your vet before assuming he’s just simply misbehaving. 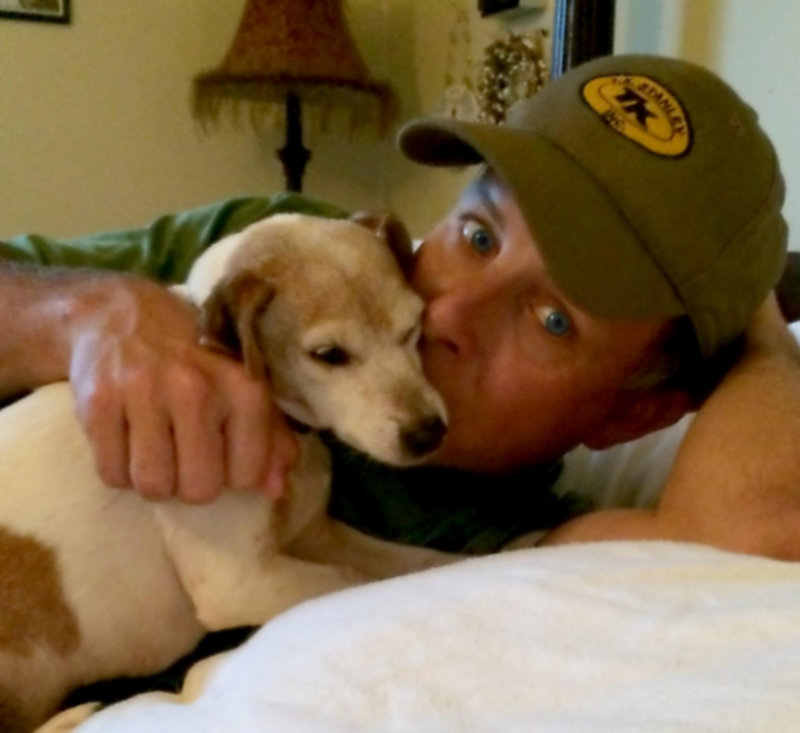 Share love and compassion with your older dog! So your vet determines that there are no medical causes behind his change in behavior, how should you tackle the issue? Better management of your dog’s environment can help prevent your old dog from putting himself in undesirable situations. Keep the trash can out of the way if he has started tipping it over, store your clothes out of reach if he has started chewing on them and don’t keep your sandwich unattended unless you don’t mind sharing it with your pal. Management is far better than resorting to dozens of “nos” and “leave its” which can turn out stressful in the long run. In addition, a reimplementation of foundation training and a stronger adherence to consistent reinforcement is the appropriate way to address these changes, further suggests Dr. Christopher Pachel. So if your older dog has started misbehaving, stop by your vet to rule out any medical disorders. As our dogs age, they go through many changes both in the health and behavior department. During this time, it’s important to be mindful of our older dogs’ behavioral changes, so we can provide them with a comfortable and fulfilling life and supply them with as much love, compassion and patience as we can. VCA Animal Hospitals: Testing for Increased Appetite, based on material written by Kristiina Ruotsalo, DVM, DVSc, Dip ACVP & Margo S. Tant BSc, DVM, DVSc.